Gates directs the Hutchins Center for African and African-American Research at Harvard University, where he is also the Alphonse Fletcher University Professor. He praised David Brion Davis as a foundational scholar whose Problem of Slavery trilogy is an essential work on the cultural, political and intellectual history of Western slavery and abolition. 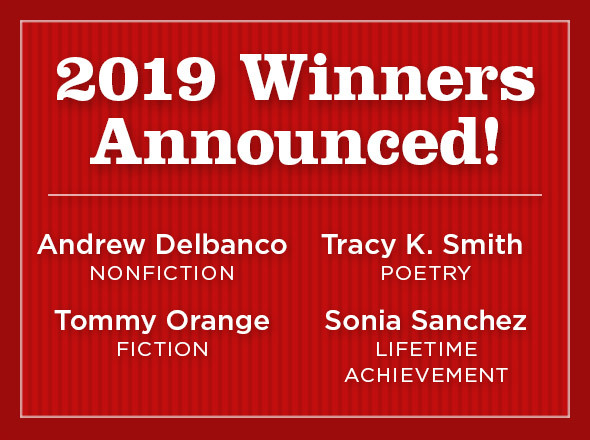 Joining Gates in selecting the winners each year are poet Rita Dove, novelist Joyce Carol Oates, psychologist Steven Pinker and historian Simon Schama. Cleveland Foundation President and Chief Executive Officer Ronn Richard said the breadth of topics taken up by this year’s winners is gratifying, and reflects founder and donor Edith Anisfield Wolf’s belief in the power of the written word to elevate and enlighten. Past winners include four writers who went on to win Nobel prizes – Nadine Gordimer, the Rev. Martin Luther King, Jr., Toni Morrison and Wole Soyinka. In the language of the blues and the Bible, poet Jericho Brown crafts 40 poems for The New Testament, a meditation on race, masculinity and gay sexuality. Anisfield Wolf juror Rita Dove calls this book “a reminder that outrage is a seductive disease — we would rather rage or weep than find a way to love in spite of the pain. Brown’s poems brim with love for this damaged world without letting the world off the hook.” And poet Rae Armantrout adds her praise, noting: “Like the other new testament, it’s about what love can do.” Brown teaches creative writing at Emory University in Atlanta. Hard Love Province is the fourth collection of poetry from Marilyn Chin, whose book mourns the loss of a beloved in a world that seems inured to suffering. “In these sad and beautiful poems, a withering portrayal of our global ‘society’ emerges – from Buddha to Allah, Mongols to Bethesda boys, Humvee to war horse, Dachau to West Darfu, Irrawaddy River to San Diego,” observes Dove. Among the 23 poems are One Child Has Brown Eyes and Black President. Adrienne Rich described Chin’s work as “powerful, uncompromised and unerring.” Born in Hong Kong, Chin is a professor at San Diego State University. In scalding yet musical language, A Brief History of Seven Killings hinges on the true 1976 attempt to assassinate reggae legend Bob Marley. Novelist Marlon James just calls him The Singer, and sets this character among a pinwheel of voices: CIA agents, child gangsters, a Rolling Stone reporter, drug dealers, corrupt politicians and a woman seriously diverted by one night with the musician. Anisfield-Wolf juror Joyce Carol Oates praised the “superb risk-taking” of James, whose story brims with profanity, violence, dialect, tenderness and cruelty. James teaches at Macalester College in St. Paul, Minnesota. David Brion Davis is a preeminent American historian whose 1967 book, The Problem of Slavery in Western Culture, earned an Anisfield-Wolf Book Award and a Pulitzer Prize. It anchors a groundbreaking trilogy that culminated last year in The Problem of Slavery in the Age of Emancipation, which in March won the National Book Critics Circle award. Harvard University President Drew Gilpin writes that Davis’ influence is deep, having changed “traditional approaches to intellectual history by embedding ideas in social and political action and institutions.” Born in Denver in 1927, Davis is an Army veteran who retired from Yale University in 2001. He lives in Connecticut. Tagged: 2015, David Brion Davis, Jericho Brown, Marilyn Chin, Marlon James, Richard S. Dunn, winners.